9am: Manufacturing and Energy: What do we need for success? 3.30pm: Where to from here? 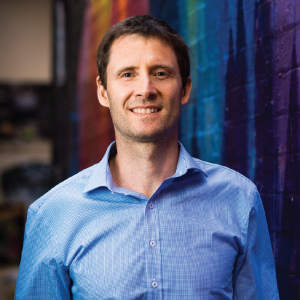 Adrian is the Executive Director of the South East Melbourne Manufacturing Alliance - a peak industry group representing more than 200 leading manufacturers based in South East Melbourne. Adrian is a start-up specialist and change agent with an impressive track record of performance improvement, business turnaround and technology management in the automotive OE/AM sales, product planning and engineering sectors in Europe, USA and Australia. Process and results-driven, he harnesses high energy levels to run major projects and large engineering and sales functions, thriving on resolving people, organisational and technical challenges. With extensive linguistic skills and experience working with, and adapting to, different cultures, he has demonstrated ability in selecting high performers and motivating others to succeed. David Hiley is the founder of WATTever - an electricity comparison site to help consumers save on energy costs and reduce emissions. He is a member of the Australian Electric Vehicle Association Inc. (AEVA), a not-for-profit organisation dedicated to the cause of switching Australia’s transport networks to electric drive and be a forum to foster further R&D in EV technology. David has a Nissan Leaf, Mitsubishi Outlander PHEV and rides a Zero electric motorcycle. Michael Lord is Beyond Zero Emissions' Head of Research. He is leading research into a zero carbon industry plan for Australia. He wrote ‘Electrifying Industry’ which shows the potential for renewable electricity to replace fossil fuels in industrial heat processes. He was also lead author of the ‘Rethinking Cement’ – the world’s first report to show how to eliminate emissions from the cement sector. Michael joined Beyond Zero Emissions from global environmental consultancy RPS, where he advised local governments and the private sector on reducing emissions and managing climate risk. Before that Michael was the infrastructure lead on the UK Government's Climate Ready program, working with energy and transport operators to improve their climate resilience. Michael has also worked in the Climate Change team at the Victorian Government. For the last nine years Tennant has worked heavily on climate and energy issues, advising Ai Group’s Leaders’ Group on Energy and Climate Policy, coordinating the Australian Climate Roundtable and developing reports on natural gas supply, energy prices and energy efficiency. He also works on a range of issues related to manufacturing and innovation. Previously he was an adviser in the Department of Prime Minister and Cabinet, working on fiscal policy, stimulus and infrastructure. Tennant lives in Melbourne. Vanessa is the CEO of Beyond Zero Emissions. Since joining BZE in early 2017 Vanessa has partnered with her team to deliver Rethinking Cement, the world’s first strategy for decarbonising the cement industry, the Zero Carbon Communities Guide, and secured BZE’s ranking as 50th Best Independent Think Tank in the world. Prior to joining BZE Vanessa worked in diverse roles across local and State Government including infrastructure planning and project management, legislative policy development, major policy reform and waste and resource recovery strategic planning. Notable projects include leading and authoring Getting Full Value, the former Victorian waste policy, and delivering the first Metropolitan Waste and Resource Recovery Implementation Plan, which sets out a practical strategy for reducing reliance on landfills through alternative technologies. Vanessa has a Bachelor of Environmental Engineering from RMIT University and a Masters of Environment from the University of Melbourne. Toby is an electrical engineer who is passionate about creating new possibilities from a sound technical base in the energy field. He has worked on energy policy, planning and sustainable design, and cost–benefit analysis targeting energy efficiency, district energy, renewables and peak demand reduction. His experience in power generation includes grid connected and off-grid hybrid systems, photovoltaic systems (large scale ground and rooftop), solar thermal, cogeneration, trigeneration, district energy, biomass, waste to energy, biogas, fuel cells and geothermal. His district energy experience includes interfacing multiple buildings, civil and underground works, piping and cabling, equipment, and project management. Phil is the Managing Director of Australian Ethical Investment, Australia’s leading ethical superannuation fund and investment manager with over $2.6billion in funds under management. Phil has over 30 years’ experience in financial services. Prior to Australian Ethical he was a senior Executive with Perpetual Limited. He is a Director of the Responsible Investment Association of Australia and the Planet Ark Environmental Foundation. He is also Chairman of Beyond Zero Emissions. Dr. Kendra Wasiluk is the Sustainable Development Planner in the Buildings and Property Division of Monash University. Kendra is responsible for providing strategic and tactical asset management planning to ensure the sustainable operation and development of buildings and infrastructure and leading the development and delivery of the University’s Environmental Sustainability Strategy. 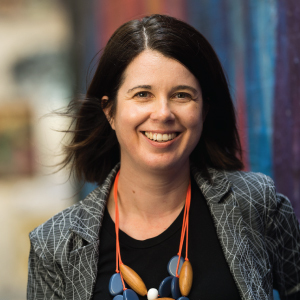 Prior to her role at Monash, Kendra was as the Manager of Asset Strategies in the Infrastructure and Capital Works Branch of the ACT Government’s Education Directorate where she had direct responsibility for the development and implementation of sustainability policy and projects in Canberra public schools. Kendra has also held academic roles at the University of Bradford's School of Management, RMIT University's Centre for Design and she completed her PhD at the University of Leeds. She started her professional career as an Interior Designer and spent approximately 8 years working in commercial design firms in both Canada and Australia. Alan Pears AM is a well-known researcher, educator and advocate for clean energy solutions. He has worked across all sectors. He has played key roles in development and site trials of industrial energy efficiency program, including the Energy Efficiency Opportunities and Energy Efficiency Best Practice programs. Recently, he was lead author of the Australian Alliance for Energy Productivity’s Next Wave – Innovation report. He has worked with A2EP on projects related to industrial heat pumps and site studies of integrated ‘behind the meter’ energy productivity, storage and renewable energy. Alan served on the advisory committee to Beyond Zero Emissions’ Electrifying Industry report. After her career in the Victorian public service and the finance sector in Melbourne and Amsterdam, Marilyne has created her own consulting practice Renewable Energy Insights Marilyne is a leader in the energy and government sectors with a wealth of experience in the economics of energy markets, renewable energy auction design, climate change and environmental policy advice. Marilyne has delivered legislation to support the Victorian Renewable Energy Target and designed the largest renewable energy auction in Australia. She has most recently led the Victorian Government’s Interim Response to the Review into the retail electricity and gas markets. Prior to specialising in energy, Marilyne worked for more than a decade in various roles in the Victorian public sector, including in the Victorian Treasury budget and forecasting areas. She has advised on key large-scale infrastructure projects, particularly in the water and energy sectors. Scott is highly experienced senior executive with 30 years’ experience in energy, climate change, water, waste and natural resource management. In his recent role as Executive Director Renewable Energy for the Victorian Government Department of Environment Land Water and Planning (DELWP), Scott led the development and delivery of renewable energy policy and programs across Victoria. Highlights included: the Victorian Renewable Energy (Jobs and Investment) Act 2017 and Australia’s biggest renewable energy auction. Prior to this role he was Executive Director of Policy, Governance and Legislation within the Water and Catchments Group in DELWP. He led reform of coastal management and compliance activities for the Department. He was Director climate change strategy in DELWP and established the landmark Climate Change Act 2010 for Victoria He spent ten years working in various roles for Environment Protection Authority (EPA) Victoria, including managing EPA's cleaner production partnerships program. After working at the Sustainable Energy Authority (now Sustainability Victoria) and on greenhouse policy at DEPWP, he spent three years working as senior advisor to the Deputy Premier and Minister for Environment, Water and Climate Change. Will Mosley leads the Sales team for RayGen Resources, the Victorian manufacturer of the world’s highest efficiency solar power tower, PV Ultra. The technology has been developed in Australia and now delivers ultra-low cost solar electricity, heat and coolth. Prior to RayGen, Will worked for McKinsey and Company where he specialised in strategy, transformation and cost reduction across the energy industry (power gentailers, mining, oil & gas majors and industrial energy users). Will has a First Class Honours Mechanical Engineering degree (majoring in Thermodynamics) from the University of Melbourne. Richard Simpson leads Furnace Engineering, an Australian engineering company specialising in design and manufacture of high temperature processing equipment. 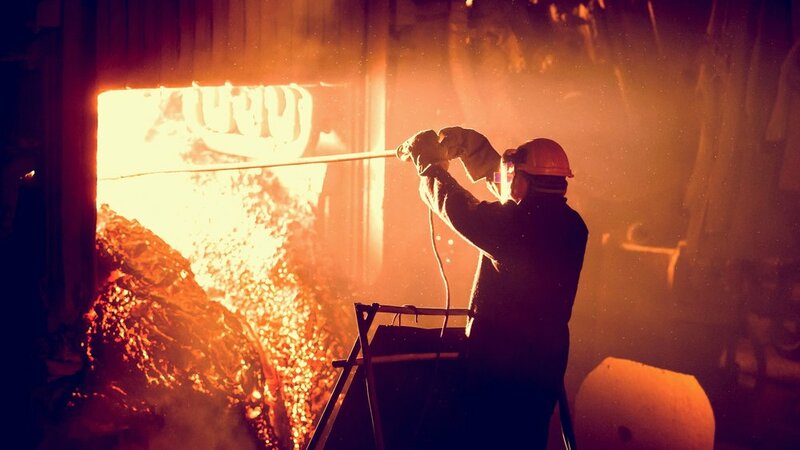 Furnace Engineering has a long history of developing metallurgical heat processing equipment, and more recently has developed novel high temperature technologies in a number of areas including Carbon Fibre and other emerging materials. Richard Simpson started his career as an engineer and product planner at Ford Motor Company before joining Furnace Engineering, first in engineering and sales, and then as Managing Director, the position which he has held for 18 years. Matthew van der Linden is the CEO of transformative energy retailer, Flow Power, and energy management practice, Utilacor. Matthew’s vision is to transform the way Australian industry interacts with energy and to create better energy retail options. For the last twenty years, Matthew has been working with Australian businesses to use technology and clever thinking to make the most out of the market. Most recently, Flow Power has announced landmark deals with Ararat Wind Farm and Kiamal Solar Farm to offer Corproate PPAs to the market. Matthew believes that by reconnecting customers to the signals of the market, we can deliver an energy system that delivers low cost, clean and reliable power. John has spent 10 years working across the public and not-for-profit sector in energy efficiency, renewables and sustainability strategy. John is experienced in planning, implementing and monitoring energy and carbon reduction programs for business and government. Joining the City of Melbourne at the beginning of 2015, John was a key team member responsible for the delivery of the Melbourne Renewable Energy Project (MREP). The MREP marks the first time in Australia that a group of local governments, cultural institutions, universities and corporations have collectively purchased renewable energy from a newly-built facility. The project resulted in the construction of the Crowlands Wind Farm near Ararat and has the potential to be replicated by other large energy users – delivering savings to customers and enabling new renewable energy projects to proceed. Austin Phillips is the Sales Executive for SEA Electric, manufacturer of electric vans, mini-buses and trucks as well as electric drivetrain solutions. During his final year at Swinburne University, he was the chief commercial officer of team Swinburne – Formula SAE, an electric formula racing vehicle in competition with internal combustion-powered vehicles. Upon finishing his undergraduate, Austin joined PACCAR Australia for their Kenworth brand, working in marketing, dealer development and finally as a regional sales manager responsible for South Australia, Western Australian, the Northern Territory and Tasmania. Austin then joined Australian bus body manufacturer Volgren within their sales and aftersales team. Austin has now joined SEA – Electric as the sales executive responsible for assisting in the commercialisation of the product and expanding sales. Simon Corbell was appointed as the first Victorian Renewable Energy Advocate in December 2016 to promote the state’s renewable energy sector, provide independent advice to the Victorian Government and assist the state in meeting its renewable energy targets. Simon took up his role in January 2017 after serving nearly 20 years as a member of the ACT Legislative Assembly, including eight years as Deputy Chief Minister and Minister for Environment and Climate Change. In these roles he led the policy and program development which put the ACT on track for 100% renewable energy by 2020, through policies to support large-scale solar, wind and battery storage projects. Peter has a longstanding passion for sustainable industry development in regional Australia. Having spent a career in business-facing roles, he has a keen sense of the innovative capability of Australian industry and the environmental challenges confronting business. Peter has worked 25 years in food and agribusiness and ten in the cleantech and renewable industries, for both the private and public sectors. Peter has worked a journalist, teacher, trade commissioner, industry advocate and cleantech/renewable energy manager in Victoria, Asia, Canberra and Broome. He has qualifications in economics, international development, teaching and sustainability. In his current role at DELWP, he is responsible for attracting investment, facilitating projects, building renewable industry capability and assisting industry transition. Ryan has over 15 years of consulting experience and has worked for a number of utilities in Australia, the United Kingdom and New Zealand throughout his career. Ryan is CEO of Marchment Hill Consulting, a boutique consultancy determined to make a difference in the energy and water sectors in Australia. Ryan specialises in supporting clients to navigate the industry transformation driven by new technology, changing customer preferences and the transition to a low carbon future. Beyond Zero Emissions (BZE) Climate Science and Solutions radio. Kay is a mechanical engineer by training with a background in robotic engineering and commercial building automation controls. She founded and ran a building automation company for twenty years specialising in environmental controls. She has been a volunteer with BZE for many years and is part of the BZE Radio Science and Solutions team. She is also part of the organising team for the annual ATA Electric Vehicle Expo (and looks forward to her BMW i3 being part of it again). Kay is passionate about environmental design. Karla has a background in social sciences and environmental policy and spent a number of years with energy efficiency service providers in the private sector before joining the Energy Efficiency Council in 2014. Michael graduated in Nuclear Physics back when quarks were new. He then spent 20 years in information management computing - adding postgraduate degrees in Computer Science and Biomedical Instrumentation along the way - and another 20 years working in a building automation company founded by his wife. They sold that business in 2010 to work on climate action. He is now a full-time climate campaigner, and one of the hosts for the BZE Climate Science and Solutions weekly radio show.